LOS ANGELES - Feb. 11, 2019 - PRLog -- Diagnosing a disease is a crucial first step in providing care. However, many regions around the world lack the centralized infrastructure and trained personnel to perform these tests. This leads to the need for low-cost test alternatives, which can be administered at the point of care. 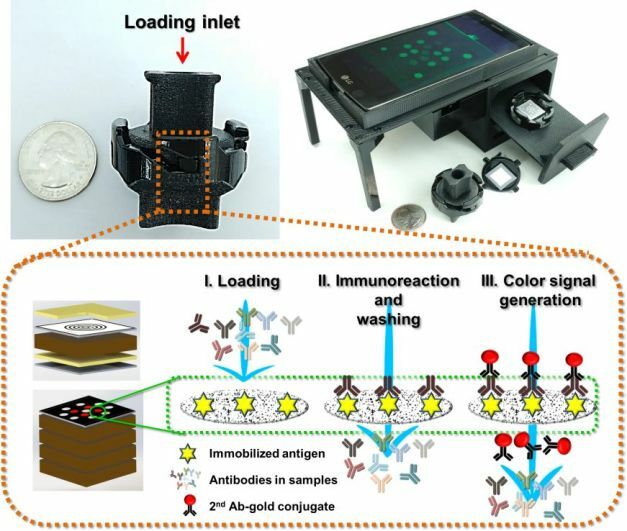 To meet this demand, easy-to-read diagnostic tests constructed from paper have been developed and implemented to combat a number of diseases across the world creating nearly a $6 billion market. These paper-based tests, commonly referred to as Lateral Flow Assays, detect the presence of specific molecules in a sample such as blood or urine by inducing a color change along a 'test line' contained on the paper strip, functioning similarly to the well-known pregnancy tests. The study was supported by the Steven and Alexandra Cohen Foundation (USA) and the NSF-funded Precise Advanced Technologies and Health Systems for Underserved Populations (PATHSUP) Engineering Research Center (ERC).